(Rome) The Pope who came from the ends of the world was cheered by the old center, but was slowed down by the margins. Norberto Cardinal Rivera Carrera, Primate of Mexico, unleashed a clearly negative opinion on Pope Francis' speech to the Mexican bishops: "Improvised words and ill-advised." Rivera's criticism stirred "pandemonium" in the Vatican, said the Vatican expert, Sandro Magister. The "bad adviser" from Mexico is to be promoted by Pope Francis even to a key position in Washington. He is there to put the US episcopate on a Bergoglio course. The Cardinal was particularly critical about those passages in which the Pope allowed himself to elaborate from the prepared speech to the left, speaking freely and improvising. 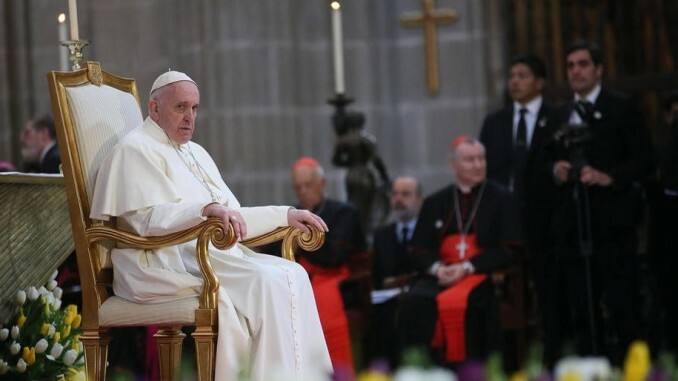 Exhorting the bishops to have a duty "to preserve the unity of the Episcopal Community," were particularly offensive.The editorial in the church newspaper Desde la fe of the Archdiocese is not identified by name. Nevertheless, the authorship is attributed to the Archbishop of Mexico City, Norberto Cardinal Rivera Carrera, Primate of the Latin American [Central] country. The unsigned editorials usually come from the Archbishop. Cardinal Rivera is taking on Pope Francis frontally because of his address, which he held three weeks earlier in the Cathedral of the Mexican capital, to the Bishops of the country. The editorial was also published on the website of the weekly newspaper and that of the Archdiocese. The Pope had said: "If you must argue, argue. If you have something to say, say it. But do it like men, to the face, and as men of God who then go together to pray and try to differ together. And if you have crossed boundaries, then ask forgiveness." In summary, the Pope said: "Communion and unity among you: The community is the living form of the Church and the unity of her pastors is the proof of her veracity. It needs no principles, but a community of witnesses of the Lord." Cardinal Rivera waited three weeks, but he would make no friends with the admonition and replicated it obviously after careful consideration: "Did the Pope have any reason to challenge the Mexican bishops like this? What the Pope knows, and he knows it well, is that the Church in Mexico is an atypical case in comparison with the other American states. 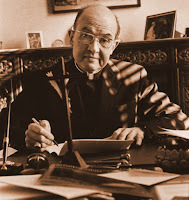 First numerically: Our country has 81 percent [93 million], the highest proportion Catholics, and just this makes us different from the other states of the continent because of this broad and well-established Catholic presence ". 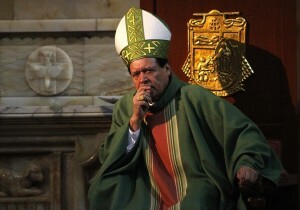 Cardinal Rivera's words were unmistakably not only a reference to other Latin American countries, but a dig against Cardinal Oscar Rodriguez Maradiaga, Archbishop of Tegucigalpa, who is highly regarded in Rome by Pope Francis and coordinator of the C9-Cardinal Council to advise the Pope. Maradiaga represents the council of cardinal advisers by papal appointment, of Latin America [Central America] and thus Mexico. [Not sure about this since Mexico isn't part of Central America.] In Honduras, the Catholic share in the population has declined since the tenure of Cardinal Maradiaga within 20 years from 76 to 47 percent. But also and especially in Argentina, the nation of former Primate Jorge Mario Bergoglio is also suffering a massive loss of Catholics underway. A report of the study center Latinobarometro two years ago pointed out that so far, there are only two exceptions in Latin America that are capable of withstanding the erosion of Catholicism toward free churches under US model: Mexico and the Dominican Republic. "By no means disinterested counselors"
Cardinal Rivera said in an editorial: "The idea would be absurd that His Holiness ignored the great resistance which the Catholic Church has experienced in Mexico to the expansion of the Protestant charismatic communities and Pentecostals, who spread unhindered in other countries." Therefore, the editorialist asks the question: "Are the improvised words of the Holy Father not the consequence of bad advice which was given to him by someone who is close to him? Who has ill-advised the Pope." 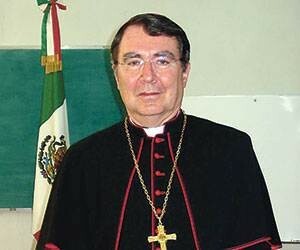 And again: "Why try to reduce the work of the Mexican bishops? Luckily the people know their shepherd and go with him in the establishment of the Kingdom of God, whatever the price, which the history of this country shows." That he can not be a disinterested counselor is hinted by Cardinal Rivera at the end of the editorial. "The hand of discord," intended to give the impression that "these are temptations of the evils of the episcopate." 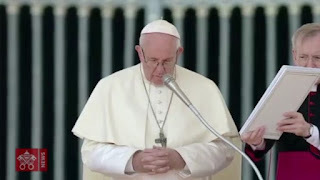 The complaints and admonition to the papal speech are similar to those which had already been expressed on other occasions and by other bishops, of the Pope, for example, in September 2015, Washington. To the US bishops and in November 2015 in Florence to the Italian Bishops. In neither case, however, on the other hand, was there raised such a protest as paramount as that in Mexico. In the other countries, rather, there was unanimous thanks for the "jolt" with which the Pope had shaken up old episcopal schemes. The margins of the Church seems to be actually alive. Criticism of Pope Francis in the Church newspaper of the Archdiocese of Mexico City, "caused not only pandemonium in the Vatican, but worldwide," said the Vatican expert Sandro Magister. The Vaticanists and media, who are closest to Santa Marta, have immediately set themselves in motion to defend the Church's head, "from the Director of the half-official sismografo, Luis Badilla, to the coordinator of the news site Vatican Insider, Andrea Tornielli." It was Tornielli, who requently goes in and out of Santa Marta, who rightly pointed out the authorship of the editorial as Cardinal Rivera. At the same time he named, amazingly, the Apostolic Nuncio for Mexico, a Frenchman Christophe Pierre, as the "advisor" who had informed Pope Francis on the Mexican bishops. It is no secret, said Magister also, that Pope Francis relies on the judgment of Pierre. Therefore, the revelation and thus exposure, of the Pope's confidant, Pierre, by the Pope's confidant, Tornielli, is explained, because Pierre will soon leave Mexico. Pope Francis is calling upon him for the new post as apostolic nuncio to the United States. He will take over from Carlo Maria Viganò, who is retiring. Pope Francis is aware that the Catholic Church in the US is a major obstacle, to put the world church on another course. Therefore, he aims at restructuring the staff of the episcopate. With the appointment of the left outsider, Blaise Cupich as Archbishop of Chicago and thus one of the most important dioceses of the United States, he has set his clearest signal to date in this direction. It was taken by many Catholics of the country, but especially by the majority of bishops, with astonishment and horror. With Francis a new nuncio faithful to Francis it is to be expected that the reports for the selection of episcopal candidates will take on a new dimension Bergoglian. The conversion of the US episcopate should now proceed at an accelerated pace. Christophe Pierre is the first Frenchman as nuncio in Washington, but only the second francophones in this office. Before him was the Walloon, Jean Jadot of 1973-1980 who held this position. Jadot is considered a "hero" in the progressive US Catholics, says Magister, because he was responsible for a series of progressive episcopal appointments, including those of [Blessed] Rembert Weakland of Milwaukee and Raymond Hunthausen in Seattle. Jadot's struggles for an "other" Church was the reason why Pope John Paul II. briefly brought him back to the Vatican after his election and entrusted him with only a minor supporting role. Jadot was so far the only nuncio to the United States, who has not been awarded the dignity of Cardinal. With Viganò it could, albeit for different reasons, be one of two. "His elevation to cardinal status is far from certain," said Magister. 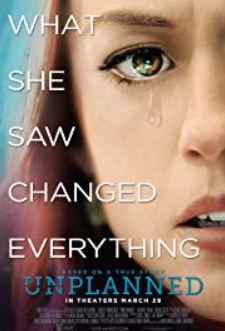 Edit: We were all over this in July. Move over libs, there should be some better episcopal appointments and faster responses to Liturgical abuses. Oh yeah. Editor: his slot in the Governorate of the Vatican will be taken up by someone who's close to Cardinal Burke, Msgr Sciacca, a judge in the Roman Rota. Understanding that this is an earlier release and that some of the other blogs were reticent about Nuncio Sambi's replacement, Katholisches sounded certain about it. [Washington from July 13] Curial Bishop Carlo Maria Viganò the Secretary of the Governorate Council of Vatican City, will be the new Apostolic Nuncio of the United States of America. The present ambassador to Washington, Archbishop Pietro Sambi will be recalled back to Rome and undertake a new leading role in the Roman Curia. The Curial Bishop has been leading a restrictive organizational reform for various areas of the Curia over the past two years. That has not made him many friends. In the long run it involved friction with the Secretary of State, so the current personnel changes are intended to bring peace again for all sides. The role of the Papal Ambassador in Washington is as much a step up in rank and is also an important as well as sensitive position. The successor as number two of the Governatorial Advisor will be canon lawyer, Msgr Giuseppe Sciacca, who is at present judge of the Roman Rota. Of him it is said that he also has earned the trust and praise of both the Holy Father and the Cardinal Secretary [+Burke]. Archbishop Viganò would be the third Apostolic Nuncio in the United States of America and only the fifth representative from the Holy See. It was first under President Ronald Reagan and Pope John Paul II that in 1984 full diplomatic relations were established between the Holy See and the United States. In the same year the USA sent William Wilson as its first ambassador to the Holy See in Rome. Since 2009, Miguel Diaz who was appointed by President Obama has occupied this post. In the USA there is a longstanding opposition against diplomatic relations. At first in 1893 the first contact at this level was established. The representatives of the Holy See had however only the rank of apostolic delegates. NAVAJO — Authorities believe a Roman Catholic nun was murdered on Halloween in her home at St. Bernard Convent in Navajo. Sister Marguerite Bartz, 64, failed to show up for church Sunday morning, so a colleague went to look for her and found her body. "Everyone is in shock in that area," said Lee Lamb, spokesman for the Diocese of Gallup, which encompasses the entire Navajo Nation. Navajo is located on the New Mexico-Arizona state line northwest of Gallup and inside the Navajo Reservation, where federal authorities investigate crimes such as murder. Bartz was a 40-year member of the order of the Sisters of the Blessed Sacrament. She served since 1999 in Navajo, and prior to that at the Guadalupe Indian Mission in Peña Blanca, Saint Joseph in Laguna and Saint Catherine Indian School in Santa Fe. "She was always passionate for justice and peace," Lamb said. Lamb learned of Bartz from her superior, Patricia Suchalski, president of the Sisters of the Blessed Sacrament, based in Bensalem, Pa. This week, the diplomatic corps is bidding farewell to Archbishop Luigi Ventura, the apostolic nuncio to Canada for the past eight years and the most influential Catholic in Canada this young century. The apostolic nuncio is generally thought of as ambassador of one state to another, but that is not quite right. The Vatican City State does not have diplomatic relations with any country. Diplomatic relations are with the Holy See. What's the difference? The Holy See is the legal expression of the pope's role as universal pastor of the Church. States maintain diplomatic relations with the supreme authority of the Catholic Church, which is recognized as a sovereign power in international law. According to the Office of the Apostolic Nuncio, we do not know who the new Nuncio for Canada is as of yet as the former Nuncio, Archbishop Ventura, goes to Paris. We are not without our challenges even today, and we know that they are not small. The principal challenge of our age seems to me to be anthropological, a hegemonic vision of the world that transforms the human person into a socially engineered object. A new anthropology imposes cultural paradigms that are unattackable and indisputable. One offers, according to the inspired expression of a young Spanish philosopher, "the opportunity to transform one’s interest and one’s desires into liberties and rights. However these are not more inherent to nature but they become gracious concessions of a power that legally consecrates them" (J. M. de Prada).